New business delivers fresh, high quality pet food to Edmond, The Village, North Oklahoma City and the surrounding communities. We know Pet Wants is something special and we want more families in our region to be able to offer it to their pets. When Shannon and Becky Elliott gave their four Chiweenie dogs Pet Wants, they knew they’d found something special. Not only did their dogs enjoy the high quality, limited-ingredient food, but Shannon and Becky felt good about giving them something fresh, small-batch and convenient. Now the Elliott family is excited to bring Pet Wants to their own community through their new small business – Pet Wants of Edmond. Pet Wants’ carefully developed proprietary pet food is slow-cooked with fresh, all-natural ingredients. The company’s distributor makes the dog and cat food in small batches once per month so every kibble is guaranteed to be fresh and packed with nutrition. Pet Wants of Edmond is a franchise of the Pet Wants Franchising Systems and the mobile service delivers to Edmond, The Village, North Oklahoma City and the surrounding communities. “As long as Becky and I have been together, we’ve always had rescue pets – dogs and cats. They become a part of our family and we want the best for them. Pet Wants’ food has the best nutrition and, after feeding it to our dogs, we’ve seen them become even more playful. We know Pet Wants is something special and we want more families in our region to be able to offer it to their pets,” Shannon said. In addition to being made fresh monthly, Pet Wants only sources the best salmon, chicken, lamb, brown rice and other ingredients available. There’s no sugar added, no fillers and no animal by-products. And, since Pet Wants never uses corn, wheat, soy or dyes, the food is a great fit for pets with allergies. Shannon and Becky – a disabled veteran who served in the United States Air Force for 10 years, including three years overseas with a medical air evacuation unit – have been married for 25 years and they have 2 children, daughter Jade and son Austin, as well as four rescue Chiweenie dogs between the ages of 2 and 6. The Elliott family moved to Edmond 17 years ago following Becky’s military service. Since the move, Shannon has worked in restaurant management, manufacturing management, sales and finance. After leaving the military, Becky worked as a childcare coordinator, went back to school and transitioned into teaching and human resources. Pet Wants originally launched in Cincinnati in 2010. Owned by Michele Hobbs, the business was built to provide proprietary crafted, fresh, slow-cooked, all-natural pet food delivered to customers through a retail store and a convenient home-delivery service. Hobbs, now the company founder, turned the business into a franchise in 2015 with the help of Franchise Funding Group, an investment and franchise-development company designed to help entrepreneurs scale their companies nationally as franchise systems. 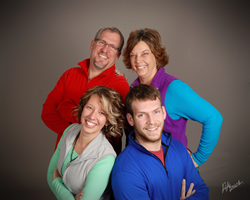 “Pet Wants is a very personal company and our family is proud to stand behind the products. Whether you’re looking for a new pet food or you’re just curious about what we have to offer, let us send you a sample. We are looking forward to welcoming you to our Pet Wants family,” Shannon said. To order Pet Wants food for your favorite companion or to learn about the company, call (405)697-8979, email either SElliott(at)PetWants.com or BElliott(at)PetWants.com, or visit http://www.PetWantsEdmond.com.